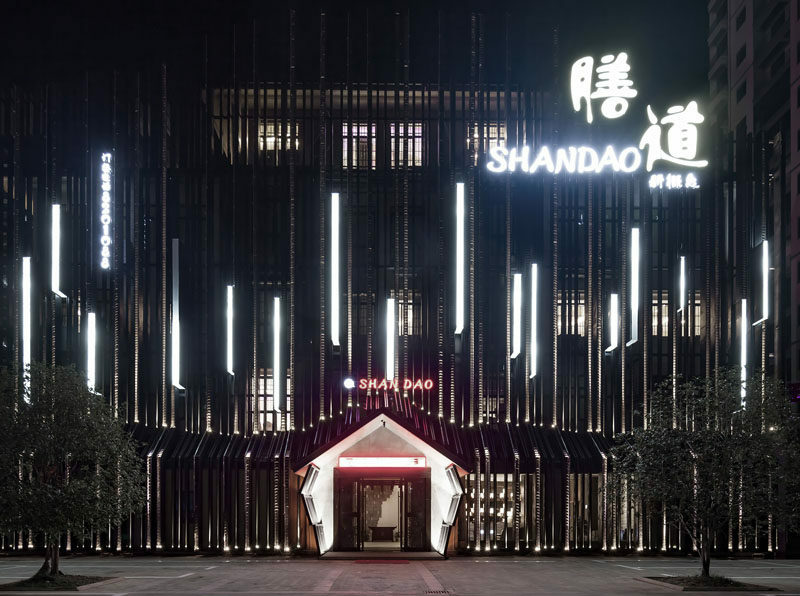 Yiduan Shanghai International Design have recently completed the New Shandao Restaurant in Fuzhou, China. In the curved lobby, bamboo stick hang from the ceiling and a decorative flower element draws your eye upward. Bamboo has been heavily used throughout the restaurant. In the dining areas, bamboo is used to create private spaces for small groups. 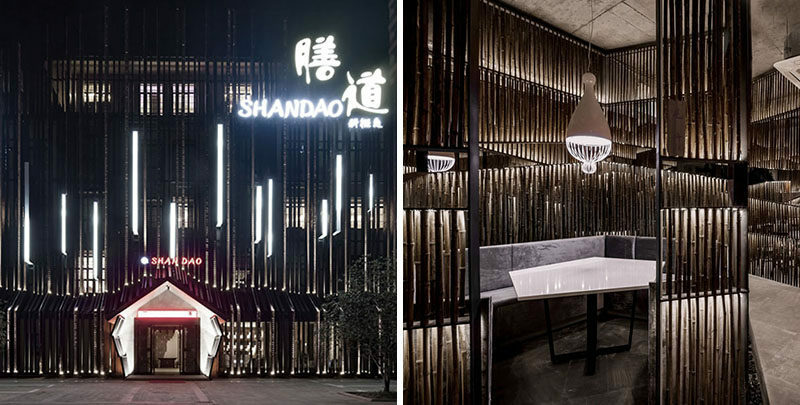 The designer explain that the dining areas are “all hidden in the bamboo baskets as if the whole restaurant is hidden in bamboo forest”. 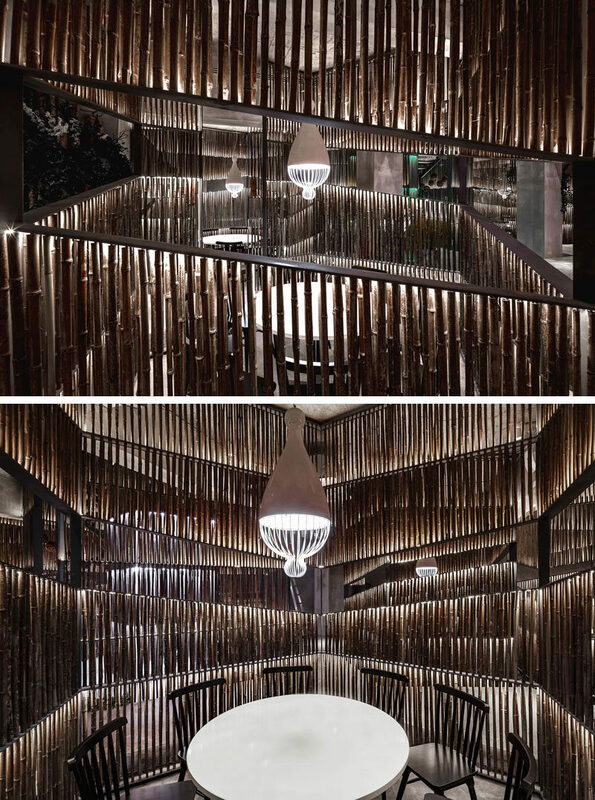 Not only has bamboo been used for the dining areas, but it wraps around the central staircase that connects all five floors of the restaurant. Lighting has been used to highlight the design of the stairs to create a unique and dramatic atmosphere.